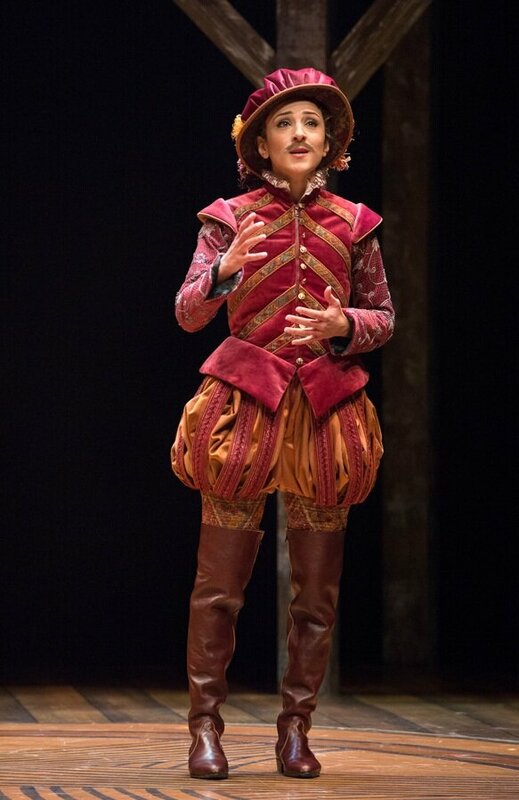 Designer Cory Sincennes, who’s risen to the occasion in every way, creates an world that references multi-layered wood-lined Elizabethan playhouses like the Globe and the Rose, with movable pillars, panels and screens that take us to Whitehall or an actors’ tavern in a blink. 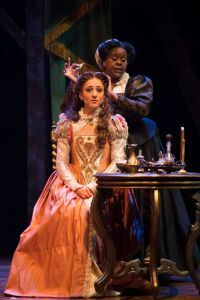 And the only word for Sincennes’ velvet and brocade costumes, extravagantly individualized, is sumptuous. 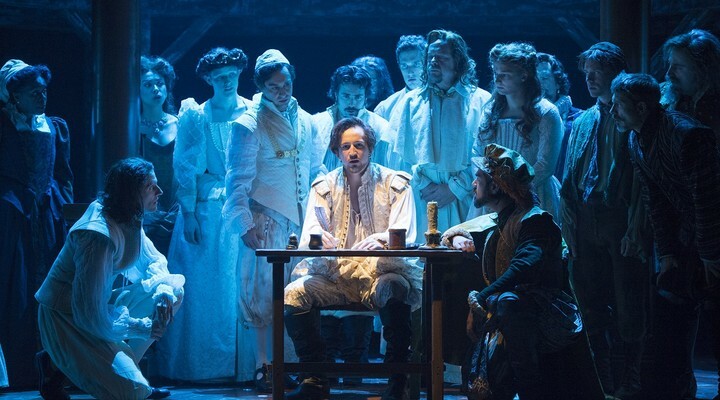 This handsome production, helmed by Citadel Artistic Director Daryl Cloran with the assistance of the impressive mock Elizabethan set and some gorgeous costumes from Cory Sincennes, ably recreates the times. The large cast of 20 swirls about the stage, giving us a living snapshot that includes ladies of the night, torturers, juicy court intrigues, mendacious theatre producers – the creative soup that gave us the Bard.